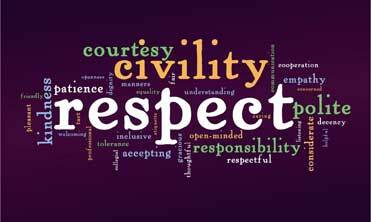 I believe it isn’t asking too much of people to suggest that they treat one another with a modicum of civility. Come on, folks, it shouldn’t require more effort to be agreeable than disagreeable, and we should be able to disagree agreeably. In this age of political correctness, humor is gone, understanding is absent, and tolerance has disappeared–especially during this election year. Mama mia! Extended families have turned into armed camps. Longtime friendships have ended in shouting matches and have been rendered irreparable. No political differences are worth tearing a family apart. No political differences are worth losing a single friend over. For example, take Facebook. Please. Take Facebook and run it through a carwash or some manner of thorough cleansing. The language! The vitriol! The condescension! The insults! The unfriending! It’s unbelievable. 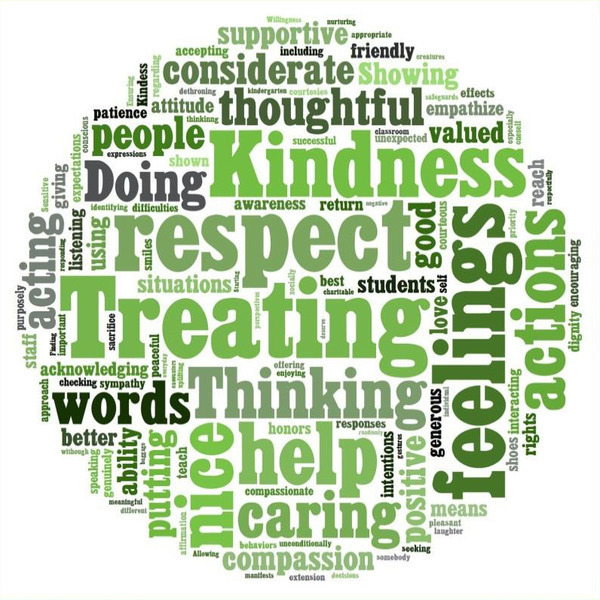 Why is it so impossible to be respectful and kind to one another? 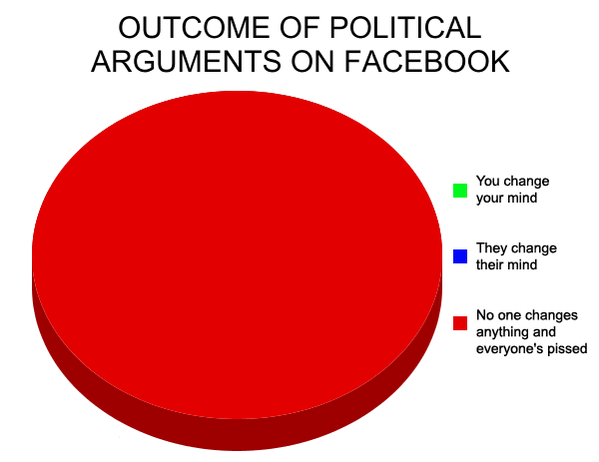 Facebook needs a thorough scrubbing followed by a one hundred eighty degree turn in the direction of civility. When I was in college, as a response to a wave of random acts of violence, there was a grassroots campaign to do the opposite–commit random acts of kindness. I’ve always believed that was an inspired idea. The act of kindness doesn’t have to be anything grandiose. It could be as simple as a compliment to a total stranger. I do it all the time, and I have a selfish reason. It makes me feel good when I make someone else feel good. Here are three examples of what a simple compliment can accomplish. Just recently, when MG and I were seated in a restaurant at a table beside a frazzled young couple with a cute but fussy months-old baby, I told them their baby is a cutie. Their frowns immediately turned upside down. They absolutely beamed when they thanked me. Why? Your family and friends will of course tell you your baby is cute and adorable, but it’s different when a total stranger tells you that. Many couples travel to Las Vegas to wed. MG and I were there several years ago when I spied a young bride-to-be in a gorgeous gown. The poor thing was looking very tense. Jitters and strain were evident in her expression. I remembered how nervous I was on my wedding day, so I approached her and told her that her gown was gorgeous and she looked gorgeous in it. Her smile lit up the room and she appeared much less tense. Same reason as before. A total stranger–not her mom or her maid of honor–told her that she looked as beautiful as she hoped she looked. Sometimes a random compliment can pay unexpected dividends. MG and I went to Italy on tour for our tenth anniversary. For our tour group’s meals, we were herded into huge dining rooms at each hotel and were served prearranged standard meals, no menus to choose from–except at one hotel. At that hotel, we ordered from menus and the food was fabulous. On our way out the first evening, I spoke to the maitre’d. I paid the hotel’s dining service the compliment that its food was the best of all the hotels at which we had stayed. He smiled, looking extremely pleased, and thanked me. The next evening, two couples, MG and I sat at a table in the middle of the dining room. A waiter came to us and told us that people from our tour group were not allowed to sit at that table. He insisted we sit elsewhere. We were stunned but we complied. The only remaining table was right beside the kitchen door. At that point, the maitre’d I complimented approached our table. He said, “This is not a good table. Come with me, please.” He sat us at that taboo table in the middle of the dining room and assigned three waiters to serve us. One of them was the waiter who chased us from the taboo table when we walked in. We drew incredulous stares from the other diners. They had to be wondering who were we to deserve such preferential treatment. Were we VIPs? Were we nobility? Were we celebrities? Had they asked, I would have told them that we were ordinary folk who expressed admiration for the hotel’s dining service and the staff was expressing appreciation for the compliment. It never hurts to be kind–and sometimes it pays to be kind. Yesterday as I walked into Panera’s a woman I’ve never met before complimented me on my hair. Those few words made me feel wonderful for the rest of the day. You are so right, Lana. An act of kindness doesn’t need to be expensive or huge. Just a few words can make a person’s day. Two weeks ago, I observed a court hearing. On the way out of the courthouse, we passed the unsmiling officer manning the security scanner. I smiled, waved to him and said, “Have a nice day.” He appeared surprised for an instant and then smiled back. Since police officers are under seige more often than not, I’m pretty sure I made his day–and his smile made mine. I would have hugged him, but MG was with me. Smiles cost nothing. Good for you. Thank you for this post at a time when we need kindness in our world, Lana. As you say, it can be a simple act or gesture. I like to acknowledge wait staff, customer service reps, and clerks by their names when they help or serve me. Honestly, I get excellent service every time. Don’t we all love to be called by name? Keep spreading the positive energy! I remember last winter I was trying on a coat that was on the clearance rack and was undecided about buying it. A perfect stranger walked behind me and said, “that looks really good on you!” Wow, wasn’t that sweet of her? I said, “really?” She assured me yes it really did.” Needless to say I bought the coat. I always say, a little kindness, a compliment, a smile, cost you nothing, but it can make someone’s day. Late but here just the same. As usual Amen, Lana. We were entering a Trump rally a while ago and an extremely polite Secret Service agent was doing his thing checking my purse, checking me, then said thank you as I complied. My response, “No. Thank you. Stay safe.” He got the oddest look on his face, smiled, and replied. “Thanks, I will.” Random acts of kindness should be the norm, not the other way around, and be reported regularly. Our so called news media has it all wrong. I agree. Unfortunately, acts of kindness don’t sell newspapers or boost TV news ratings. The human race hasn’t changed much since the Romans watched gladiators fight to the death for their entertainment. People are still fascinated by violence. It abounds in movies because it sells tickets. Sad.